Remember how I said that I love yellow dresses? I wasn't lying. 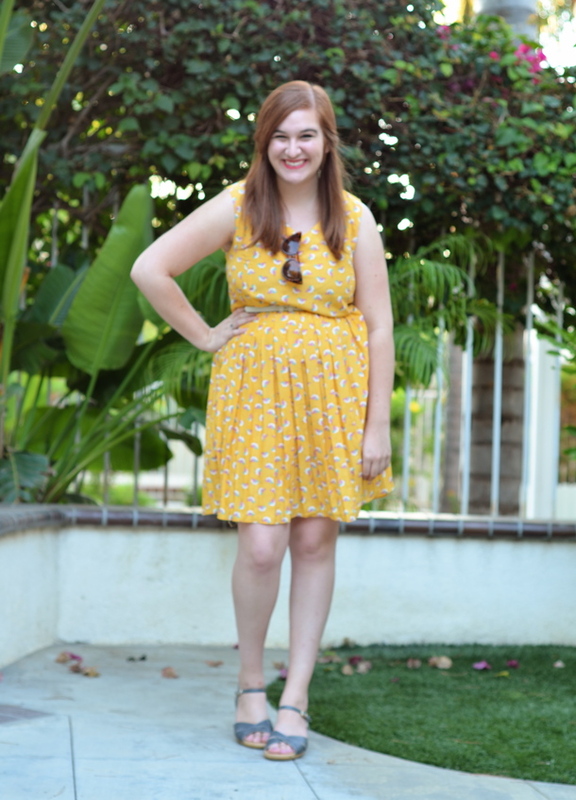 In fact, the moment I got my Modcloth gift card, I searched "yellow dress" on the site in hopes of finding one that would solve all of my yellow dress needs. The result? This one here, in all of its pleated skirt and bird print glory. Go ahead, just throw your best "put a bird on it" lines at me all you want. Joke's on you, I live for Portlandia references. This is actually the second set of pictures I took in this outfit yesterday. Nataly helped me take some when we hung out at the Orange Circle, one of my favorite places in the world which is filled with vintage and antique shops, but the sun won in the end. It was incredibly bright, and even moving to shaded areas produced photos that weren't doing me any favors. Of course, it didn't help that it was extremely hot, and the feelings of sweaty-ness and grossness that I had at the moment were all too evident in the photos. So, I did a "take two" photo shoot at home later and the setting sun helped to do this dress justice. Sweaty photos aside (because why wouldn't that be something I want to type? ), I had a wonderful day with Nataly, as I always do. It was a day of good company, good food (waffle sandwiches! ), and good vintage. What more could a girl ask for? If only I didn't have to say goodbye to Nataly for a few months, the day would have been absolutely perfect. In other news, I finally got a pair of cat eye sunglasses that don't completely overwhelm my tiny face. 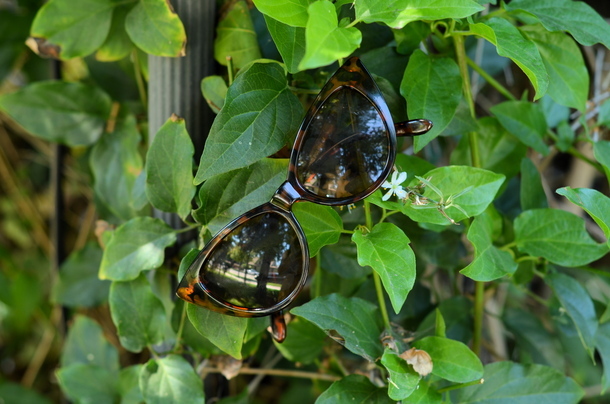 I always struggle to find sunglasses that aren't giant on me, and finding a pair of cat eye like that has proven to be difficult. I don't know why I didn't just go to Modcloth in the first place. I love that dress, and both it and the cat eye sunglasses look great on you! I have the complete opposite problem with glasses- usually they aren't big enough! What a cute dress, this print is just adorable! oh my god that dress is ADORABLE. that print is so, so sweet. and haha it sounds rather hot in california ;)that's so awesome you got to hang out with nataly, i'm kind of ...jealous. 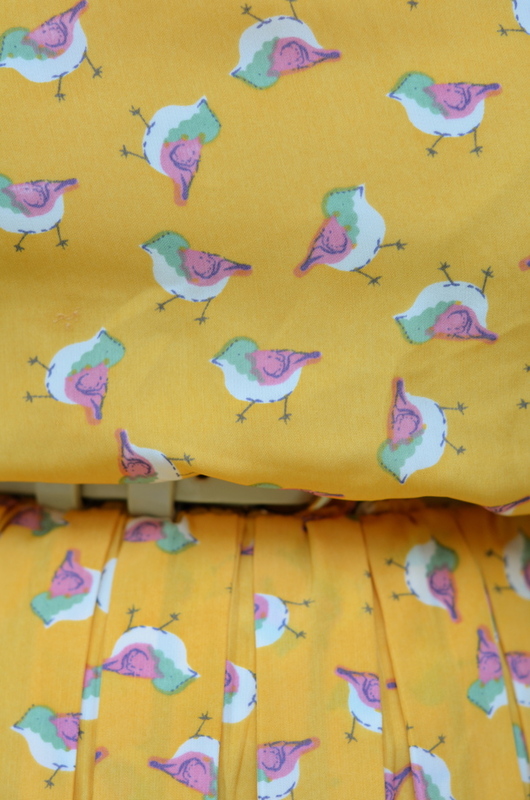 Birds, pleats and the colour yellow?! PERFECT for summer, love this dress!! I must admit I'm super jealous of your hot weather, it was so nice here for a while but has been super chilly this weekend/week so far, 18 degrees Celsius (65 F) is not July weather! Ahhh the color, the print, EVERYTHING is perfect Elana! Oh how I feel you on the terribleness of pictures in bright sunshine, its seriously the worst! Also, spending time to actually take pictures that don't turn out is so frustrating, but your re-dos are amazing! Hope you're having a great day! Oh, what a cheerful dress! Love the sunglasses too. Put. A. Bird. On. It. PutABirdOnIt! Thanks. Now I feel like I need to re-watch every episode of Portlandia ever. 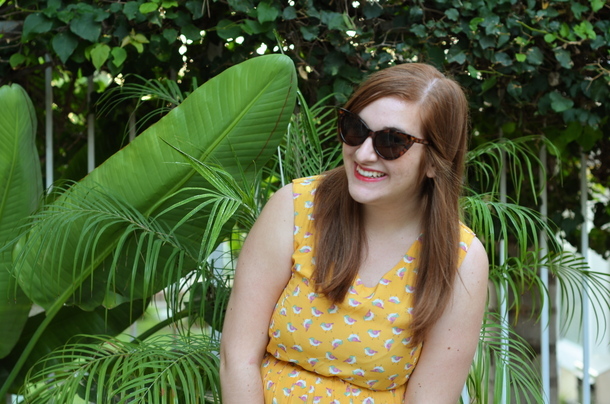 Yellow and dresses and glasses, oh my! What a cute dress. I love the print and the color! Your dress has cute little birds on it?! Awesome! It's such a cute dress! this dress is perfect on you. 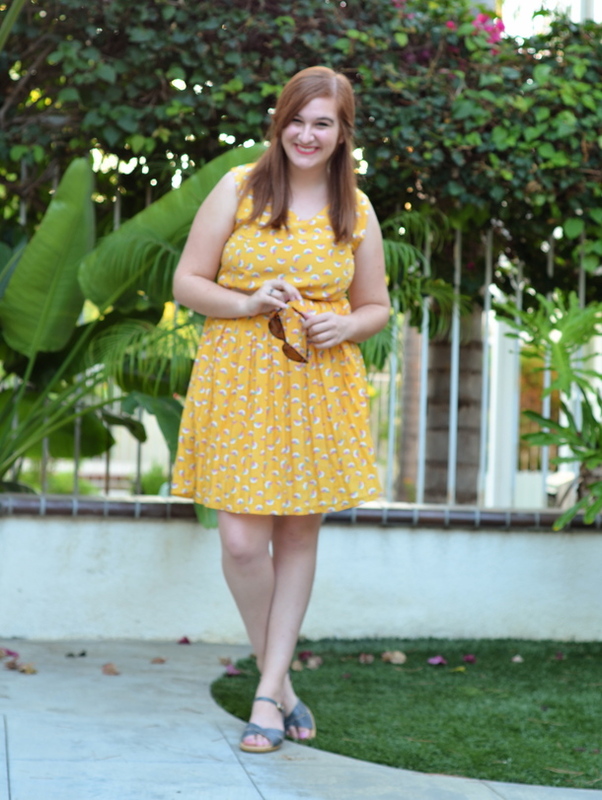 I adore yellow dresses too as long as they are a warmer yellow as I can't wear pale yellows. 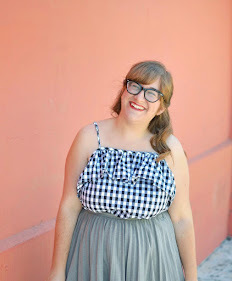 Hope you are doing well darling and congrats about getting featured on Modcloth! soooo hello there! i saw you dropped by my little piece of internet real estate and i'm so glad you did! because now i'm like super obsessed with you in a total non creeper way! hahaha. yellow is my favorite color and it looks great on you! p.s. i love that you always smile in your photos! that's really refreshing. i look forward to your future posts, Elana! Yellow looks so amazing on you!! Love this dress! You are beautiful. Um, this dress is lovely. I'm really liking yellow on you. Girl, you look gorgeous in yellow! That dress is perfect, especially with that pattern! And those sunglasses look awesome! Oh what! That is the cutest dress ever. I am lovin' the pattern. You are gorgeous Elana! !